The damage could spread. Call us before it is too late. See any curled and blistered shingles on your roof? Guard against the harsh elements. Let us fix your roof. Loose or missing shingles on your roof? Snow, Rain, Wind. Your roof is under constant attack from these elements... Is your roof robust enough to withstand? Let us take care of your roof! Contact us right away before it gets too late. We Are Global Roofing Inc. Global Roofing has been serving residential and commercial customers throughout Massachusetts and New Hampshire for over 10 years. We offer RELIABILITY and PROFESSIONALISM not often found in our industry. Established in 2010. For us, honesty is the only policy and we strive to complete all projects with integrity, not just with our clients, but also our suppliers and contractors. Reliability - when you work with Global Roofing you hire dependable contractors that out customer service first! Global Roofing has been serving residential and commercial customers throughout Massachusetts and New Hampshire for over 10 years. We offer RELIABILITY and PROFESSIONALISM not often found in our industry. Why Choose Global Roofing inc. Choosing the right roofing professional for your project can be an intimidating experience. If you choose a contractor that lacks experience, technique, and knowledge of the roofing system that need to be installed it could result in a very costly mistake. From the decking the new roof is being installed on, to the underlayment that will help protect the interior of your home and ventilation that will allow your roof to breath and maintain the life of the shingles allow Global Roofing to help you make an educated choice. Global Roofing goal when selling a roof is to educate the consumer. With every estimate we provide a complete package detail the process along with samples of all the products we propose to install. Our estimates include brand and product descriptions, installation techniques, customer options for any additional work and warranty options. We strive to maintain the highest quality materials and workmanship to exceed your expectations. When you hire Global Roofing you are hiring a dependable company that puts customer service first. We have a proven record of accomplishment and ensure that all projects are done with utmost professionalism. Whether it is Asphalt Shingles or Metal roofing, we pick only the best quality materials for your roofing job. We roofing material is backed by the most comprehensive warranty for the life of your roof. Our team of roofing professionals are some of the best in the industry with a wealth of experience. They are equipped with coveted industry certifications, so you can rest assured of high quality work. We stand by each of the roofing job we undertake as we are confident of High Quality of our workmanship. With our combined experience spanning several decades, you can count on your roofing job to be done with precision and unmatched quality. 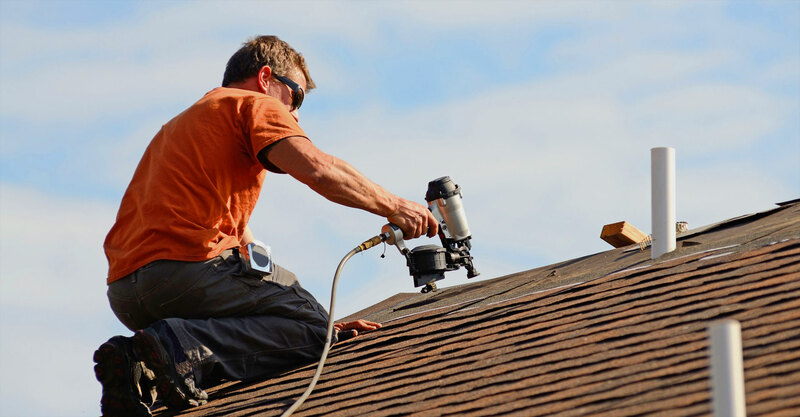 When our team undertakes your roofing job, we stick to the mutually agreed timelines and deliver a job that is done fast and in an efficient manner. 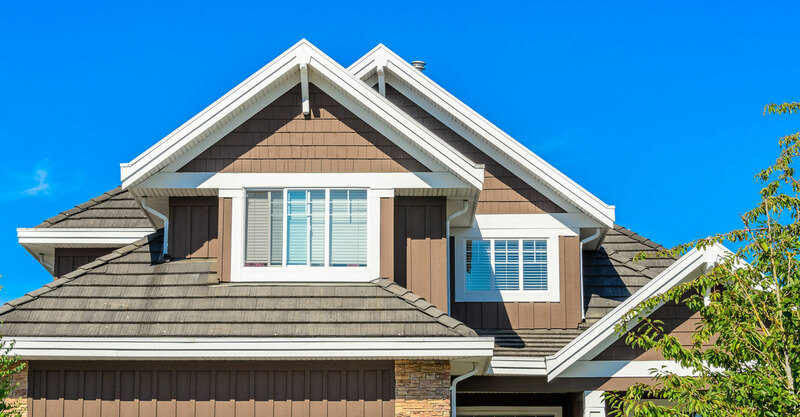 We treat each roofing job we handle, with utmost respect and we strive to provide a personalized service, taking into account home owner's custom needs. Shop around and check prices of our competitors before giving us the job. We guarantee the best price for your roofing job and we back our prices with 100% customer satisfaction guarantee. Our customers are primary reason for our success and we pay closest attention to their needs and constantly think about ways to improve our customer experiences. At Global Roofing, we care about our environment. When replacing Asphalt Shingles roofing, we ensure that older tiles are disposed of responsibly. When using non-asphalt and metal roofing materials, we try to choose materials with most recycled materials. We treat each home roofing job as a special job and we take into account every request from home owners. Our Designer Roofing Shingles are some of the best in the industry and come with unmatched life-time warranty. We specialize in installtiona and service of flat roofs. With a choice of flat-root materials such as PVC, TPO and EPDM rubber, flat roof installations need special expertise that our team brings. LOOKING FOR A QUALITY AFFORDABLE ROOFER FOR YOUR NEXT PROJECT? The team was great and all paperwork and planning was handled easily with Andrea. Rain had pushed a lot of jobs, including mine but they worked with me, cane over the weekend and put together a large team to get all the work completed in one day. They treated my entire property with care and provided me with updates throughout the job. Great group to work with and the finished product looks excellent! The Global Roofing team is professional and did a great job on my roof replacement. Their communication through every step of the process and timely execution was excellent. I'm very happy with the results. I would highly recommend them. Global Roofing showed up when they said they would, answered all my questions and finished the work very quickly. They did an excellent job. I would definitely recommend them. Crew was excellent. Attention to detail was the best I have ever experienced from a contractor. The extra effort put into covering shrubs and outside landscaping was beyond what I expected. Supervisor Sandy communicated with me on every detail. Follow up during and after construction by Andrea and Freddy was unexpected and appreciated. The attention to detail and precision was at a level of the highest quality. Would recommend without hesitation for any project. Their signs ae displayed on my front lawn for all to inquire about. Went very well, very friendly and straightforward. Crew worked very quickly while still protecting the property. Great communication, Freddy and Andrea walked me through what would happen and were flexible with changes and additions. It went well. They were very good. I had to cancel a few times but they called me even on a Sunday to remind. They are very reliable and punctual. Used an Angies list deal for $6000 worth of work. Came and gave a complete & detailed estimate and a folder of material/ colors for a relatively typical 12/12 pitch roof. Handled the permits with the town. It was done on time as expected on an extremely hot/humid day. Very professional and would recommend them to anyone who needs roof work done. Very professional, curtious, would hire again. They were very responsive to our request, provided an estimate and an explanation for the cost. Their crew were on time, worked quickly and were very courteous and thorough. We will definitely keep them in mind when there are other projects that we need to consider. They came and quoted the job prior, there were no surprises from the quote to the final cost. The job was completed in one day. They were prompt to arrive in the morning, there was a supervisor on the job at all times. They did an excellent job cleaning up. Would highly recommend. Our roof got old and covered with moss so we decided to have it replaced. I started quoting in mid-February, I asked from 6 companies for quotes. Global Roofing stood out pretty easily. Freddy and Rich came and they impressed me in pretty much all aspects, but the most of which is they are very honest and they know how to work with roofs. So, I chose them without much hesitation at all and convinced they would do a good job. The process leading to the installation day was very smooth, had to delay for a week because of the weather, Andrea did a fantastic job in communication. Materials delivered the night before, the crew came on time, they did a fantastic job peeling off the old shingles, installing the new shingles, replacing the gutter, and the cleanup, the entire crew are professional, efficient, courteous and they work as a team. All in all, I had a great experience, will use them again, and will recommend to my neighbors and friends. They were able to do the work before anyone else and they did it for a much more reasonable price than most other contractors. I will definitely consider them for future work! Great crew, did a great job, looked and fixed other issues, reinstalled several fallen screens as part of the job. Price was very fair, more importantly they did a good solid job. Global Roofing met all of my expectations and I would highly recommend them. During our first meeting, they thoroughly inspected the roof and clearly identified where it was leaking. Even though it was already October, they promised to complete the new roof before the end of the year... AND THEY DID!! I just liked everything about this company. 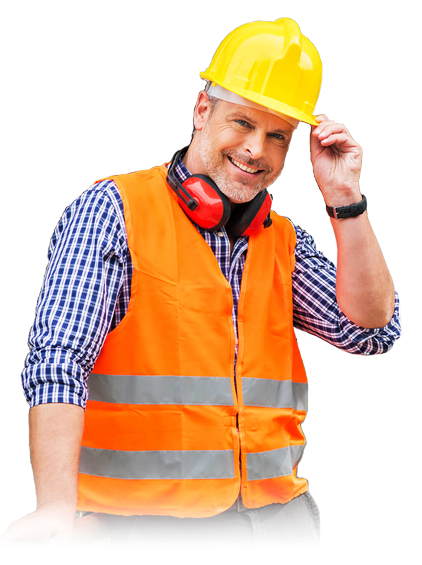 Early in 2017, I had a very bad experience with a so-called experienced local contractor and it turned out to be a disaster...so when considering choosing someone for this important job, I hesitated to trust... BUT I found the owners of Global Roofing and the entire crew to be caring, responsive,professional" and"HONEST""!!! It was a positive experience and if you want your job done right and on time === you'll choose them to do your roof. Very well overall. They are top notch. They did an excellent job and cleaned up after themselves. All three units in the Condo agreed that this was done well and worth every penny. They are very professional. It is a pleasant experience. They found and fixed a few problems on the roof. They also gave me some good advice on a problem of which I was not aware and promptly emailed me advice on how to proceed. I was very happy with the service. Our experience working with Global Home Improvement was wonderful, from when they first provided us a quote (which was a great deal lower than other quotes we obtained) to finishing small tasks at the end of the job. The crew worked quickly and adapted to unexpectedly having to replace decking, and the roof and the significant trim work turned out beautifully. Andrea and Fredy answered any questions we had before beginning the job and made sure we were happy with the work when everything was completed. We cannot recommend them enough! Responsive owner with hard working crew. Good quality workmanship. The new metal roof looks great, Freddy and his crew did a great job. They arrived at the time we scheduled and completed the job within the timeframe they specified. 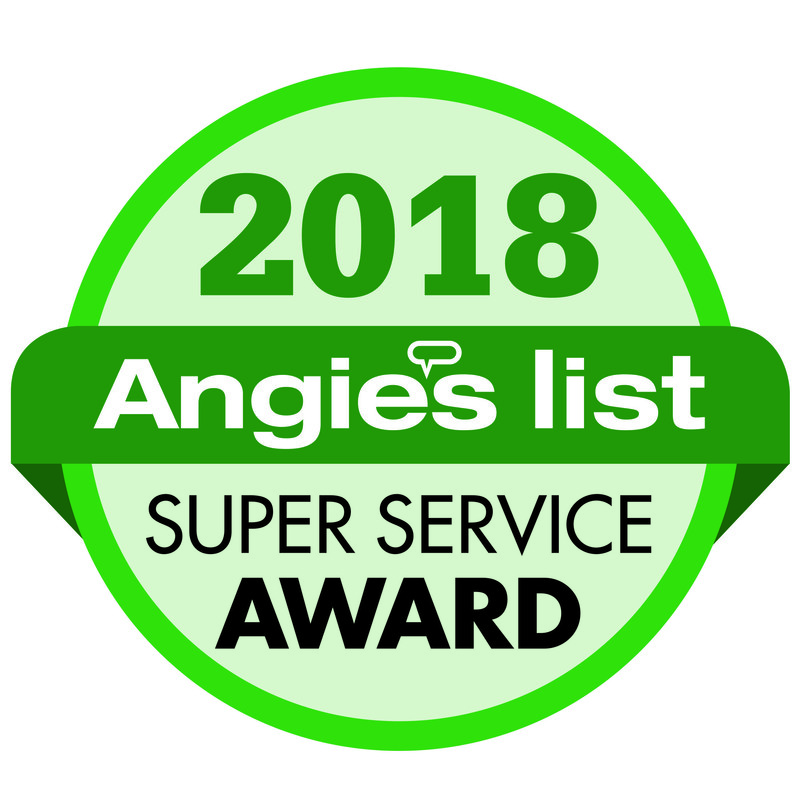 The problem wasn't with the roof in the end but they did help me quite a bit by assuring me that the roof was fine and pointing out a few other problems (clogged gutters, condensation on a pipe) that might be causing the water stain on my bathroom ceiling. They were prompt, professional, and even sent me a detailed report with photos about what they found. I was very happy with every aspect of this service. I recently in the process of refinancing my house and was required to have an inspection completed on my roof. After a few attempts at scheduling appointments with other contractors, i tried Global Home Improvement and they came out within a matter of days. While the inspection was not favorable for me in the end, they were a great help and explaining what needed to be repaired and how much. They also provided me information on how to pay for the roof. In the end we were able to have them come out and replace the roof within a few weeks and it has never looked better. I am very pleased with the quality of the work. The roofers' knowledge was very impressive. Fredy and his crew did an excellent job installing the new rubber roof in a timely matter. It was hard to get two days with good weather but when there was, the crew showed up. The price was very competitive but thanks to Angie's List, I took advantage of their coupon to members. Wonderful! They even did some extra items at no additional cost. Thank you Rich, the foreman, who installed acricket" to help divert any water to the scupper. I am very pleased with their work and would highly recommend them. It went very well, the technicians were on time, efficient and pleasant. After the cleaning off of leaves and pine needles they thoroughly inspected my roof, took photos and showed me everything I needed to see. They also put some filler into an area for protection. They were great! He does a great job, and explain the condition of the roof. Excellent. Thoughtful and professional. Assessment was spot on. On time, professional. Knowledgeable. Would have been nice to provide a written report. They did send pictures of roof issues. They were very professional and responsive and made sure to get the work scheduled. I had a very good experience with them. Whole process went wonderfully! Very responsive and very professional. Plan to use in the future when needed. Thank you again so much! Excellent. They called promptly and scheduled time convenient for me. They arrived on time and performed the required repair. They crew was friendly and professional. I would definitely hire them again. It was professionally done , in good time , they cleaned up when they were done, i was truly satisfied with the Job , price was very reasonable , great Job Guys! It went great. I was really impressed and will certainly have them back for any future roof job. Fredy and his coworker were very nice, professional, and honest. Fredy gave me all the details, answered all my questions and pointed out all my possible future roof problems. I was home with a sick baby and Fredy drove to Home depot and bought the roof vent cap himself. I was so grateful to him as it would have been horrible to drag a sick baby with me to the store. The work took half an hour more as he had to drive to the store but he did not charge me for it. One of the best guys I have ever worked with. The contractor had promised to accomplish the replacement in one day. He did this by bringing 18 guys, including several who were very talented in the rubber roof application and the re-integration of the 25 year old vinyl siding. Altogether an impressive accomplishment. On budget, and a nice cleanup. Global Roofing is a very professional organization who seems to pride themselves with having great customer service. The entire project was seamless from start to finish which steady communication the whole way. I acquired the multifamily home in late November of 2016 with multiple locations displaying water intrusion in (2) of the apartments and it was obvious that the roof was past its life just by viewing from the ground. Replacing that roof was number one priority upon purchasing the home and unfortunately for me, this was in the beginning of the cold winter months when roofs are not typically installed. Fredy took a look at my roof, saw the issues right away and immediately got me on his schedule for replacement. Luckily for me, the weather permitted and we had a week stretch of > 40 degrees, Fredy and his team were right on top of it. With permits pulled and materials already onsite waiting, Fredy and his team completed the project within days of the winter weather. There was minimal disturbance to the existing tenants and neighbors as they were in and out in about 3 days due to the appropriate amount of man power and resources allocated to the job. In addition, they do chimney leading and repointing in house for a very fair price which saved me the logistical burden of trying to schedule a mason to come out at a premium. The finished product resulted in a brand new roof, happy tenants and a clean site. Fredy and his team at Global Roofing have made it very easy for me to recommend them to anyone who replacing their roof. Thank you Fredy and Andrea! They were amazing! They listened to what I had to say and answered all my questions in terms I could understand. They are professional and organized. Things ran smoothly and the job was done on time. The roof looks great!! Fredy’s crew arrived on time today, and did a great job fixing my troubled carport roof. They were very professional and worked steadily. I appreciate that Global Roofing provides a 2 year warranty on their workmanship. Thanks for a great job! 47/84 4/22/2018 - Laurie S.
48/84 11/27/2018 - Brett L.
49/84 05/01/2017 - Cathleen C.
Good price, quick response and service. Explained the problem and walked through the steps of our roof leak repair. Would use them again. 50/84 04/06/2017 - Siona O.
I spoke with Andrea of Global Roofing on Wed night, set up an appointment for the following evening. Global Roofing arrived at the exact time they said they would. I spoke with Freddy as his team of men went to my roof, checked the damage, shoveled all the snow off the roof, tacked down the rubber roof that was flapping in the wind, shoveled the snow off my roof and pick up all the snow from the roof that was on my driveway. Freddy gave me a price I felt was reasonable. He encouraged me to get other estimates. I found Freddy to be honest, polite and fair. He will come back when the weather is warmer and I feel I have made a good decision. 51/84 03/20/2017 - Diane M.
52/84 03/20/2017 - Victor N.
53/84 03/19/2017 - Donna G.
Very good work. Job was completed within a couple weeks after i started the posting. They were always polite and courteous. Didn't collect payment until we had thoroughly inspected the work and approved of it. Stuck to the amount quoted. 54/84 03/04/2017 - Stacey F.
Global came through for us last minute with labor to help finish our new roof! So happy we used them...we recommend them to everyone! 55/84 02/10/2017 - Julia H.
Hudson MaFredy was professional and did what he said when he said he would do it. The job was excellent. Finding contractors like him today is rare. 56/84 12/15/2016 - Peter M.
57/84 11/15/2016 - Isabela P.
We were very impressed with Fredy and his crew and the end result was fantastic. They were very professional and capable experts who were honest and trustworthy. Fredy kept us well informed during the project. He brought in a team of experts for different aspects of the job, such as engineering, carpentry and rubber roofing. The cost was very reasonable, the work was first-rate, and the results were guaranteed for many yrs. They cleaned the work area afterward and it was immaculate when they left. I would give Global my highest recommendation to all of my friends and associates. 58/84 11/15/2016 - Robert C.
Global roofing was very knowledgeable of what needed to be done, helpful, pleasant to work with, and completed the whole process in a timely fashion. 59/84 10/26/2016 - Harry D.
I'm very pleased with Global Roofing and I do recommend. I don't think you'll be disappointed. 60/84 10/18/2016 - COLIN M.
61/84 10/06/2016 - Derek R.
Global roofing has done a great job in patching My roof. Its difficult to get someone to do a relatively small job. He did it in a timely basis.lm very satisfied with the work. 62/84 10/30/2016 - Tom B.
I had a great experience with Global roofing. Fredy was quick to get back to me to set up a time to meet and assess the issue. He was very easy to communicate with throughout the process. The job was completed in one day and they cleaned up thoroughly. I would highly recommend Global roofing and will use them again in the future. 63/84 09/15/2016 - Margaret S.
We were very happy with the service of this company! From the first point of contact, meeting the owner, explaining all stages of work, returning to the site for permit and giving us all the documents for the job, confirming every step, keeping contact with the suppliers, dropping the materials in time in the right place ,checking it. checking Temp and weather conditions the day before and that week, making sure the site is clean after job done and inspecting the work checking under ventilations and roof conditions below shingles. They even treated the chimney and fixed our very bad gutters that were poorly installed long time ago. We felt from the entire process that this owner of the comp. Freddie is passionate about the work, he was honest and direct and we never felt as we need to supervise the process. The crew came is time , they were friendly and very quick, organized and very proficient. We highly recommend using “Global Roofing” service not just for the looks but for the quality. 64/84 08/22/2016 - Sharon C.
Global roofing was very prompt in responding to our estimate request and they came out less than 48 hours later to inspect our roof. They have been wonderful to work with...honest, professional, timely. Would highly recommend them for all your roofing needs! 65/84 08/18/2016 - Alison S.
Outstanding job! Attention to details! High quality materials! Totally recommended! 66/84 08/16/2016 - Uzi C.
We're very happy with the job done by Fredy and his team. From the first contact, he was polite and professional. Communication was great, I always got a quick response to messages, and every step of the process was completed in a timely fashion. The pricing was competitive with other offers we received. The job was completed in one day, all of the mess was cleared away when they finished, and the roof looks great. We couldn't be happier, and will definitely be in touch again when we're ready to refinish the rest this roof. 67/84 07/18/2016 - Amy O. 68/84 07/18/2016 - Amy O. The site was in a historic district, so we had hoops to jump. Global Roofing did a perfect job! We are happy. 69/84 06/13/2016 - Chris B.
I was very pleased with the work Fredy provided. I felt the end result was exactly what I expected and the quality of work spoke for it's self. I was always kept informed and Fredy was more than willing to answer any questions I had along the way. I would use Fredy for future home improvement projects. 70/84 04/21/2016 - Karla D.
From our initial emails, to the onsite estimate at our home, to the completion of the project, Fredy and his crew were wonderful to work with. We were in need of a roof and ceiling replacement over our laundry room/mud room. Fredy worked with us within our budget, arrived promptly on time, completed the job in less than two days and left the job site neat and clean. We love our new roof and ceiling and would definitely recommend and turn to Fredy again with no hesitation. 71/84 04/20/2016 - Lisa B.
Amazing company, work was done perfectly. They waited for a few rainstorms to make sure roof didnt leak before payment. I will use them when Im ready to replace the whole roof. Honest and reliable. 72/84 04/01/2018 - Randy B. 73/84 11/15/2017 - Joyce B. They're knowledgeable, pleasing to work with and cost-effective. Client service is prompt on phone and email. 74/84 06/27/2016 - Philip H.
75/84 06/27/2016 - Philip H.
I had a leak that can be seen from a ceiling. Called several roofing companies and got no reply back. Used home advisor and have Andrea called me and scheduled the visit promptly for Freddy to come and check the leak. Freddy was very professional, identified the leak that was due to improper seal of one of the skylights and fixed it right away. He also checked my other skylights and some had the same problem which he fixed. Freddy checked my roof for issues and provided tips for maintenance so it can last long. Definitely will recommend Global Home Improvement, Inc as a honest and very professional company ! 76/84 06/20/2018 - Oleg A. 77/84 06/20/2018 - Oleg A. Great customer service/professionalism and very polite. I would use this company again and recommend to anyone. 79/84 11/03/2016 - Bob A. 80/84 09/15/2016 - Margaret S.
They were great and fun to work with. He did what he said they were going to do. Finished in one day. Very impressive. I have 10 houses I take care of for a small non profit and I would use these guys over again in a heartbeat. They just did a fantastic job, Global roofing worked with us during the lengthily permitting process, then did the whole job in Two days, right on budget. It was very satisfying doing business with them, they did a great job all around. Global roofing was incredibly professional and responsive to any and all questions I had. The price of the project was great and the quality of work was excellent. I only wish I could deal with more contractors like them. I would highly recommend them to anyone. It was an absolute pleasure to work with global roofing. The price was as quoted and done faster than I thought. They were professional and the quality of work was excellent. I highly recommend them.